It's a saying we all know but it doesn't just apply to books.... or people... or things.... or situations... it also applies to food. You see, sometimes ugly food tastes just plain delicious. This ridiculously ugly soup is one of those foods. In fact, we nicknamed it "The soup Mum would never touch". Why? Because my Mum will not eat anything green. Unlike her vegetable loving daughter, my Mama hates vegetables - but she only really hates them because she refuses to eat them. One way I can get her to eat vegetables is in soup. Whilst this soup was bubbling away in the Cuisine Companion, Mum kept commenting on how good it smelt and how she wanted to try it - until it came out of the pot. Then that saying that my Mama always told me was thrown out the window. 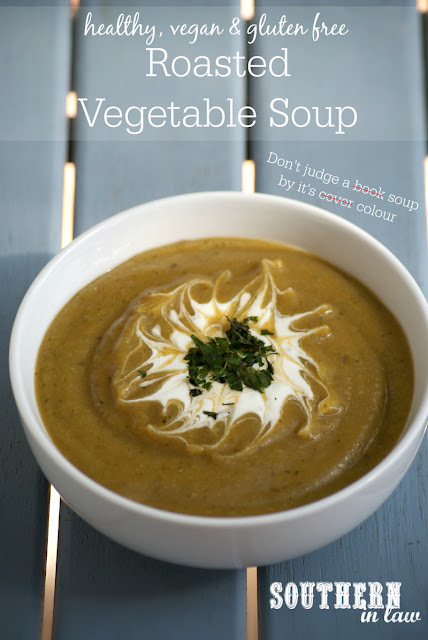 She definitely did judge a book by its cover soup by its colour - but don't let yourself do the same thing! This soup is pretty ugly (thanks to the veggies it's loaded with) but it's also ridiculously delicious and packed with nutrients! It's thick, creamy and delicious and the perfect way to eat your veggies (and use up whatever you have in the fridge!). You can switch up the veggies to suit whatever you have at home or whatever your favourites are. Before you know it, you'll have a steaming hot pot of delicious soup ready to tuck into! Place your veggies on a baking tray lined with baking paper and bake until they just start to soften and brown up (about 20-40 minutes) and then remove from the oven. If they're browning too fast, turn the heat down slightly and cover your veggies with foil. Place your veggies into a large saucepan with 3-4 cups of water (just enough to cover everything). Bring your soup mixture to the boil and add in your garlic salt, pepper and additional herbs if desired. Once your soup has come to the boil, turn it down to a simmer and allow to cook until your veggies are soft. 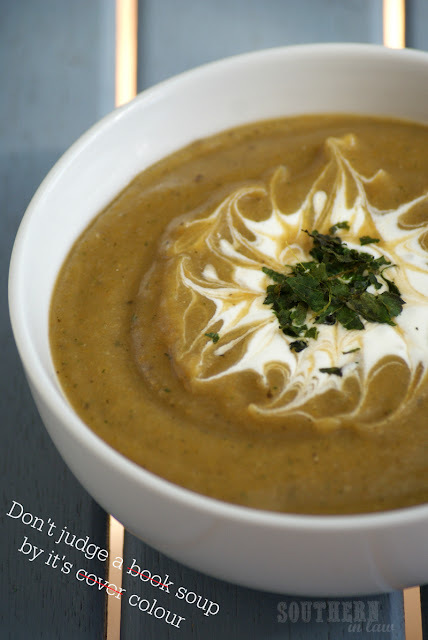 Once your veggies are soft, transfer your soup into a blender and blend until smooth. If needed, return your soup back to the pot to thicken and reduce to your desired thickness. Serve immediately, sprinkled with some fresh herbs and a dollop of plain greek yogurt/cream if desired. The soup will keep in the fridge for up to a week or can be frozen in individual portions to eat later! Place your veggies into your Cuisine Companion, fitted with the ultra blade. Add in 3-4 cups of water, your garlic salt and pepper and start the P1 soup function for 40 minutes at 100C. Once your soup has gone through the P1 soup function, season to taste. If your soup still needs thickening, reset your Cuisine Companion and manually set it to 130C on speed 6 for 10-20 minutes, keeping an eye on your soup and removing it from the Cuisine Companion once it reaches your desired thickness. *I'm a weirdo who never peels vegetables as I feel like the peels have the most flavour. That said, whilst I kept the peel on all my veggies (except the carrots) I wouldn't recommend doing that unless you have a high powered blender/food processor or you'll end up with a lumpy soup with lots of bits in it. You can use whatever vegetables you like in this recipe. Switch out the two zucchinis for a capsicum/bell pepper, swap a sweet potato for some extra carrots - you really can't mess it up! But tell me, what's one ugly food that you just can't get enough of? And what's your favourite way to eat your veggies? I just love vegetables in whatever shape or form! 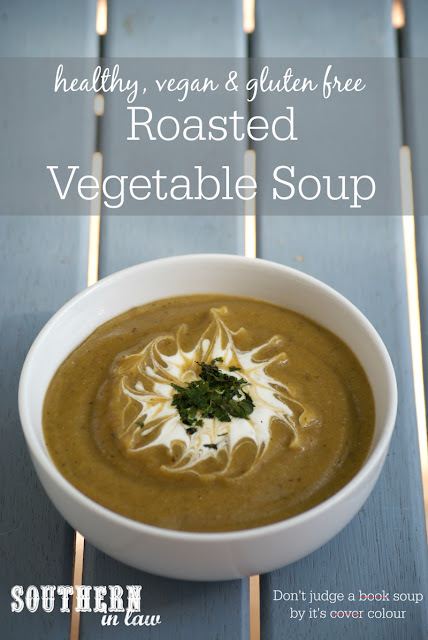 Roasted veggies and soups are generally my favourite in winter however! I'll save this for winter in the states ;) And maybe I'll actually make soup this year! Yummm, I think I'll make this even though it's summertime here! And since it's summer, I am loving all of my veggies grilled right now--sweet onions, peppers, and zucchini in particular! Yummm! Grilled veggies are the best in summer!